When it comes to Leavenworth, WA hotels that offer affordability, comfort, and elegance, the ALPINE RIVERS INN is a top choice among hotels in Washington. 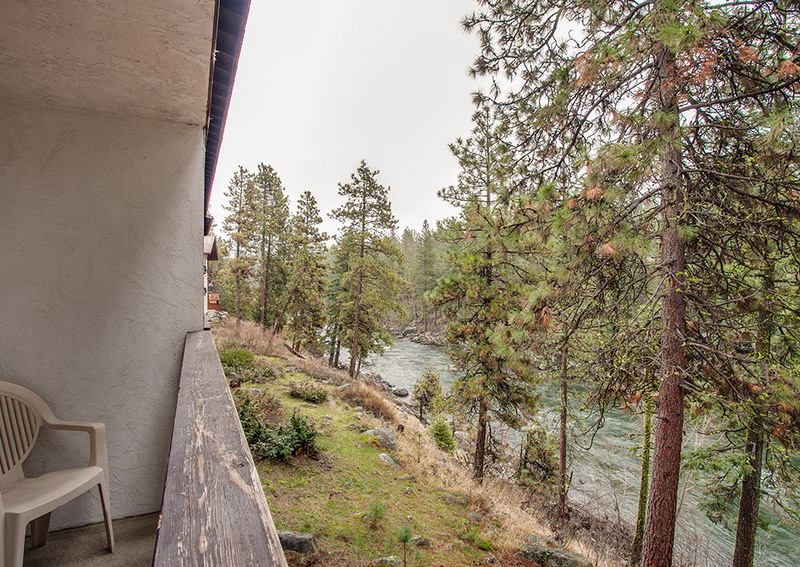 For inns and hotels near Leavenworth, WA that provide cozy accommodation, convenient amenities and first-rate services, the ALPINE RIVERS INN is the answer. Our hotel provides our guests with a warm and friendly welcome and genuine hospitality with every stay. Feel free to contact us at any time, whether you want to find out about Leavenworth WA weather or if you simply need hotel directions. When you’re ready to book your stay, use our online booking engine for fast and secure service with our guaranteed best rates or reach us on our contact number at 509-548-8888. As a small independently owned and operated business hosting thousands of guests a year, it is important to be upfront and consistent with our policies so that all guests are treated in a fair and like manner. We've prepared this information and these Policies to help promote our guests' safety and enjoyment and to ensure that each guest is aware of the understandings between the ALPINE RIVERS INN and the guest. Check-in Time- Check-In time starts at 4 p.m. your room is ready prior to 4 P.M. we are happy to check you into your guestroom. Should your room not be ready, and you wish to use the facilities (hot tub, swimming pool, etc.) you may do so. Late Check-in: If you are arriving after 10 pm, please let us know so we may make arrangements with you as to where to get your room keys. 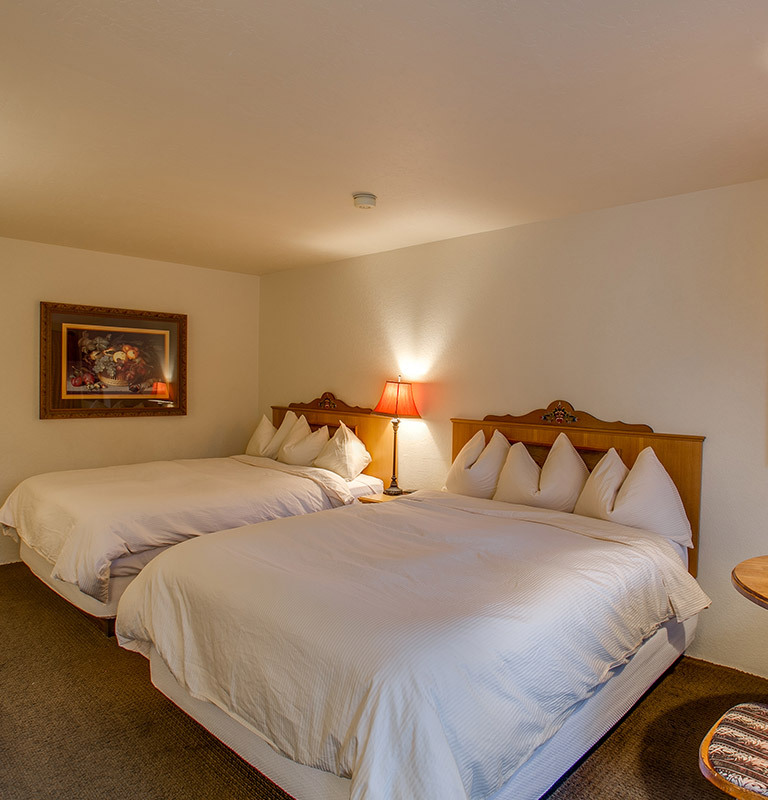 Guaranteed Room Type: At ALPINE RIVERS INN, we guarantee the type of room you book; however, we are only able to guarantee a room type, not a specific room number or floor. If you specifically need room on the ground floor, please call the hotel directly, and we will do our best to accommodate that request based on availability. Daily Room Rates: All room rates are based on double occupancy and are determined by dates requested, room type, and availability. Children under the age of 12 can stay free of charge at our hotel when sharing a room with at least one paying adult. Each additional person in room age 12 or older is an extra $10 per night. All rooms are subject to state and local taxes. Rates may change without notice. All confirmed reservation rates are guaranteed. Confirmed Reservations: We will issue you with a confirmation number when a booking has been made. The confirmation number is proof that we have accepted your booking. No booking shall be binding on The ALPINE RIVERS INN until we issue you with a confirmation number. We reserve the right to cancel or modify reservations where it appears that the reservations contain or resulted from a mistake or error. No Shows: If you do not arrive at the hotel on the scheduled date of arrival, you will be deemed to be a ‘no show’ and your booking will be canceled, and you will be charged a no-show fee equal to the first night stay total. No-Shows during the Ice Fest in January, Octoberfest weekends in October, Christmas lighting festival weekends in December and the last two weeks of December are subject to a no-show fee equal to the entire stay amount. Photo ID is required: You must be able to show photo identification (a driver's license, passport or state ID card) and a valid credit or debit card or if you are paying by cash on arrival. If you are unable to produce this to the satisfaction of the hotel, we may terminate your booking without refund. Occupancy Limit: Occupancy of the room is limited to the number of guests on the confirmation letter (adults, children, and infants). This is for safety and guest comfort. Please call us in advance if you intend to bring additional guests so appropriate accommodations can be arranged before your arrival. Violation of the policy will result in charge of $100/person/night for the nights the policy was violated, and guests will be asked to leave with no refund. Cancellations: For most reservations, our standard cancellation policy is 72 hours (3 days) before arrival except Ice Fest weekend in January, Oktoberfest weekends in October, Christmas Lighting Festival weekends in December and the last two weeks of December requires 14 days’ notice before the arrival date to cancel the reservations. All cancellations must be made by phone; no email cancellations will be accepted. All canceled reservations will be issued a cancellation number. Cancellation numbers are required in the event of a dispute. We will not refund for cancellations made with notice of less than the required number of days. We regret that we cannot make exceptions for personal emergencies as a cause for cancellation. 3rd Party Cancellations: if the reservation was made via Online Travel Agencies(OTA’S) like Expedia.com, Booking.com, Hotels.com, etc. that guest must make cancellation arrangements through the original booking source. As with other reservations please call them prior to the cancellation deadline to receive a refund. Festival and holiday weekends require 2 Night Minimums: All Festival weekends, major holiday weekends, December 15th -January 5th require a 2-night minimum length of stay unless waived by the reservation agent. There is absolutely no refund for early departures for a 2-night minimum stay reservation. Peak Season Deposits: Reservations for Ice fest weekend, Octoberfest weekends, the Christmas Lighting Festival weekends, December 15th-January 5th require a one-night room plus tax deposit to your Visa, Master Card, American Express or Discover to guarantee your room. The credit card will be charged for the first night plus tax on the day your cancellation period expires. If the credit card we have on file is not valid or has declined at the time we charge your first night plus tax, we will be forced to cancel your entire reservation. Valid Credit Card: We reserve the right to pre-authorize the credit cards for the entire stay at the end of the cancellation period and if the credit card we have on file is not valid at the time we pre-authorize for the amount equal to the entire stay plus tax, we will be forced to cancel your entire reservation. It is extremely important to use a valid card with sufficient funds when making reservations to avoid cancellation of your reservation by the hotel. Authorization/charge releases for debit cards can take 3 – 14 business days or more. The ALPINE RIVERS INN will not be responsible for overdraft fees or other fees associated with the use of a debit card. Group Reservations: If you book 5 or more rooms for the same night we will treat this as “Group Booking” subject to Group reservations policy. Group reservations require 30-days advance notice to avoid a cancellation fee equal to your entire reservation. Group Blocks will be held up to 30 days before arrival. Rooms that are not reserved 30 days in advance will be released from the group room block. 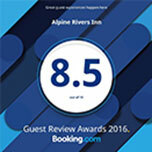 ALPINE RIVERS INN will continue to accept a reservation from group attendees after the release date at the prevailing room rate, subject to availability. Winter Conditions: We will only refund for a late cancellation due to Winter Pass Conditions only if BOTH Snoqualmie Pass and Stevens Pass are closed with an unknown re-opening time due to bad weather on the day of your scheduled arrival. No Smoking: In accordance with WA state law and for the safety and comfort of all, the guest rooms including balconies and patio area are all 100% smoke-free. This includes any kind of pipe, vapor device, cigar, tobacco cigarette or marijuana cigarette anywhere inside the guestroom, balcony or patio. If anyone violates our no- smoking policy a fee of $250.00 will be charged, and the guest will be asked to leave without a refund. This fee is to recover the cost to make your room smoke-free for future guests. We enforce this policy enthusiastically! No Pet(s) Policy: Sorry, pets are not allowed at the ALPINE RIVERS INN. We will be happy to recommend other hotels in the area that do allow pets. Guests who elect to bring pets into the rooms will be charged a $250.00 minimum cleaning fee on their bill or through their group leader. Damage Policy: Damages incurred to hotel property because of hotel occupant or guest(s) of an occupant, will result in fees that will be billed to the hotel occupant. Fees may vary depending upon the amount necessary to restore or replace the damaged property up to, and including, the inability to rent the room(s). Lost and Found Policy: The ALPINE RIVERS INN is not responsible for any items left behind in guestrooms and public spaces. Hotel staff will place any item(s) found in the Lost & Found where it will be kept for thirty (30) days. Any items not claimed within that period will be donated to a local charity or discarded. Access to Guestrooms: We may enter your guestroom for reasonable purposes, such as for housekeeping, maintenance, or to address or prevent a violation of these Policies. Hotel staff will normally knock and announce themselves before entering your guestroom unless we believe that exigent circumstances exist. Minors and Guests that accompany you: You are responsible at all times for the supervision and behavior of any minors that are staying with you or visiting you at the Inn and are responsible for ensuring that they comply with these Policies. You are also similarly responsible for any guests who are staying with or visiting you in your room. Housekeeping Service: We provide daily housekeeping between the hours of 9 a.m. to 4 p.m. Please use your Do Not Disturb sign if you do not want housekeepers entering your room. Please remember that if the Do Not Disturb sign is displayed they will not knock on your door and the room will not be cleaned. If you are staying multiple nights and would like maid service during your stay, please remove your "Do Not Disturb" sign by 11 a.m. daily. Noise/Disturbance and Quiet Time Policy: We ask all guests to respect each other and observe Quiet time from 10:00 pm to 9:00 am. We want to provide a peaceful environment and ensure all guests can rest, relax, and enjoy their time here. Anything that disturbs any of our guests is strongly discouraged. ALPINE RIVERS INN has zero tolerance for guests and their visitors who: while on the premises acts in an obviously intoxicated or disorderly manner, destroys or threatens to destroy ALPINE RIVERS INN property, or causes or threatens to cause a public disturbance. Guests and their visitors who violate this mandate and fail to comply with our 10 pm quiet time policy (only one warning will be given) will be refused service and will be evicted from the premises without any refunds in accommodation charges. We may call local authorities to assist us in your removal under these Policies. Our rights and remedies under these Policies are in addition to and are not in substitution of, any and all rights we may have under applicable law. Should guests and their visitors negligently or intentionally cause damage to a room, the registered guest shall be liable for all damages sustained, including the loss of revenue resulting from the inability to sell the room while repairs are being made. Damages incurred will be applied to the credit card provided by the primary registered guest. Management has the right to check the status of the guest room upon your check-out time to ensure that our premises are in good condition and can be used by the next guest. Cooking: Guests can cook only in kitchenette suites which have fully equipped kitchens. You are not to bring crock pots, microwaves, toaster ovens, etc. for use in regular hotel rooms. These rooms are not equipped to handle such appliances, and their use could cause electrical and safety issues. Modification of policies: We reserve the right to modify and amend these Policies at any time. Any modification to these Policies that occurs before your departure is considered a part of your reservations agreement with us. If you have any question or concern related to any policy, or for up-to-date information please call the hotel directly at 509-548-8888 or toll-free at 1-800-870-3960 or send an email to info@alpineriversinn.com.